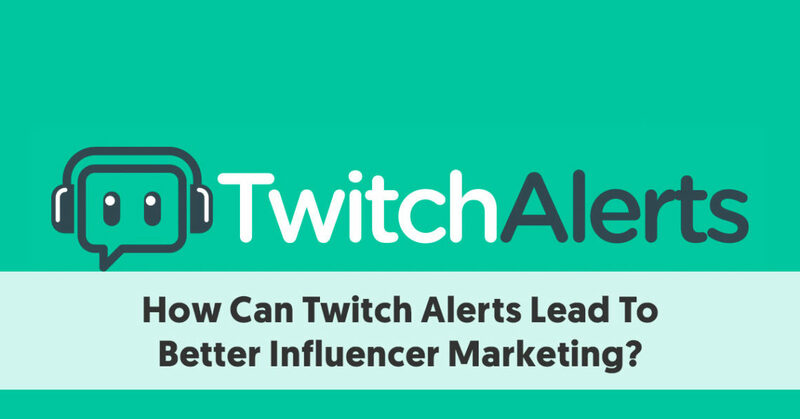 How Can Twitch Alerts Lead To Better Influencer Marketing? We have recently looked at the usefulness of Twitch for influencer marketing. Gamers, in particular, spend a great deal of their time on Twitch. If you produce a product or service that targets this market, then Twitch should be an essential part of your marketing mix. The core of Twitch is live streaming, predominantly by gamers. Some gamers have developed large followings. Most of the people on this list are genuine influencers to the people who follow them. Apart from the near-fullscreen video playing area each Twitch streamer each streamer has additional sections on their page. Most of these are below the fold and beneath their live stream. Many of the items that streamers include on their page are Twitch Alerts. Some Twitch Alerts also display as overlays on their primary video window. What are the Main Twitch Alert Features? Twitch Alerts are not native to Twitch. They are an optional add-on that streamers can use to help improve the user experience, and they make it much easier for a broadcaster to receive money. Twitch Alerts are effectively a streaming notification program for Twitch. The most popular source of these alerts is Streamlabs. Their product was in fact known as Twitch Alerts until its 2016 name change. Although all of the features are collectively called Twitch Alerts, they are much more than simple alerts. They are a toolbox of items that help make a broadcaster’s channel flow and function more smoothly. There are competitors to Streamlabs, however, who also offer their versions of Twitch Alerts. Twitch Alerts make life easier for streamers who wish to engage with their audience. 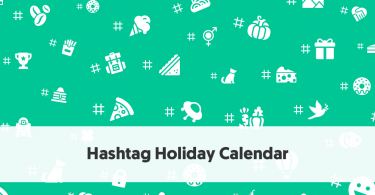 This, in turn, increases the effectiveness of any influencer marketing in which they participate. The alerts provide a straightforward means for streamers to send out notifications to their followers and subscribers. They also offer backend solutions to make it easier for Twitch influencers to receive donations. They can help improve the chat experience for Twitch users. A streamer can set a Twitch Alert to trigger when a specific event happens. For instance, a streamer may use a Twitch Alert to trigger a particular graphic banner and sounds to play when somebody new subscribes to their channel. Streamers need to broadcast via the web version of Twitch to be able to use Twitch Alerts. They do not work with the app and console versions of Twitch Alerts. The market leader is Streamlabs. They started the Twitch notification add-on industry, calling themselves Twitch Alerts. With the phrase “Twitch Alerts” now having a more generic meaning, they changed their name to Streamlabs in September 2016. Since their rebranding, Streamlabs has widened their streaming alert service to support YouTube, Mixer, and Facebook Live, in addition to Twitch. Streamlab’s Twitch Alerts integrate into Streamlabs OBS – their recent desktop streaming application. 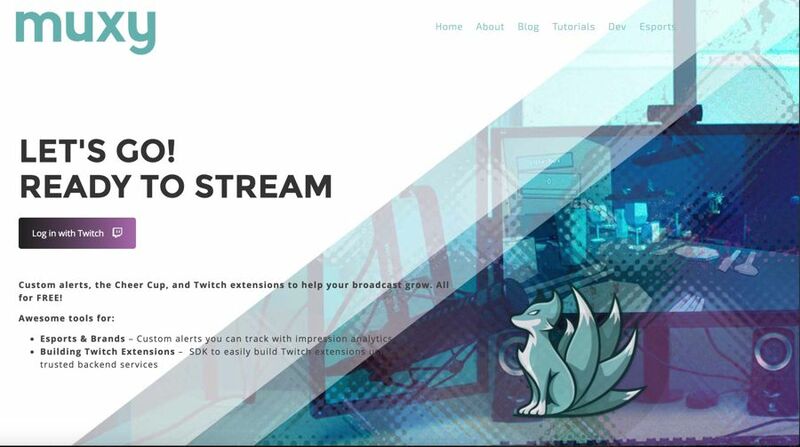 Streamlabs OBS is designed to be an all-in-one management application to assist Twitch broadcasters. Streamlabs have integrated nearly all of their original applications into Streamlabs OPS, but they are still available as separate downloads for streamers who do not want the full system. Streamlabs is still the service used by most Twitch Streamers to set up and manage their Twitch Alerts. Another option for streamers is Muxy. They offer a range of Twitch extensions to help broadcasters grow their feeds and become more influential. Their recent focus has been on interactive extensions – tools to help streamers do a better job. These include Twitch alerts. StreamElements takes a similar approach to Streamlabs OBS. They describe themselves as the ultimate platform for streamers, both on YouTube and Twitch. They provide full-screen overlays, which include sections that allow you to visualize your alerts – cheers, tips, subscribers, followers, and hosts. They host streamers’ overlays on their own servers. Streamlabs has gradually added to its products’ features over time. The competitors include versions of some of these Twitch alerts in their offerings. Probably the core of all of these products is that they provide streamers with the ability to set up alerts when particular events happen. These alerts are relatively intelligent. For instance, the streamer can choose to convert text to speech in a variety of languages. They can include a profanity censor if they run a family-friendly channel – even substituting “happy” words for profanity. The streamer can pick and choose which alerts he wants operating on his channel. He can also configure many details for the alerts, including text and background colors, layout and any animations. Alerts also allow a streamer to set up variations in his alerts. He can, for instance, make a selection of subscriber alerts, so that viewers don’t get bored by the constant repetition of the same messages. These tools make it easy for a streamer to manage donations (which are not natively controllable within Twitch). 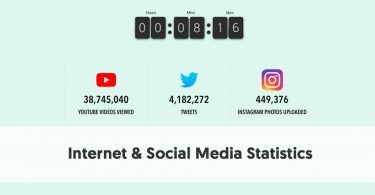 The software builds a widget on the streamer’s page that displays all-time top donors, as well as the streamer’s top monthly and weekly donors. The streamer can set a donation goal, displaying progress towards meeting it as a bar (the Donation Ticker) on his page. The bar starts off “empty” and fills up with color the more people donate, and the closer the streamer is to reaching his donation goal. 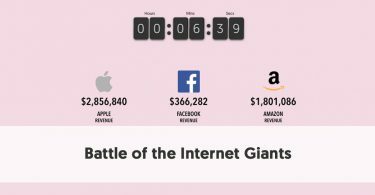 A Donation Ticker is well and good – but it is hardly spectacular. Muxy was the first to realize that viewers on a video platform prefer things visual – so they created the Cheer Cup. Cheer Glimmer – this displays an animated display depicting Bits flying in the stream. Cheer Progress Bar – this is an animated bar showing the number of bits which followers have awarded the streamer during this streaming session. Cheer Cup – This is an animated display that shows on a broadcaster's screen. It depicts a cup. As a viewer pays Bits, a message “flies” above the glass and “drops” the bits into the cup. More substantial Bit donations knock smaller donations out of the cup. 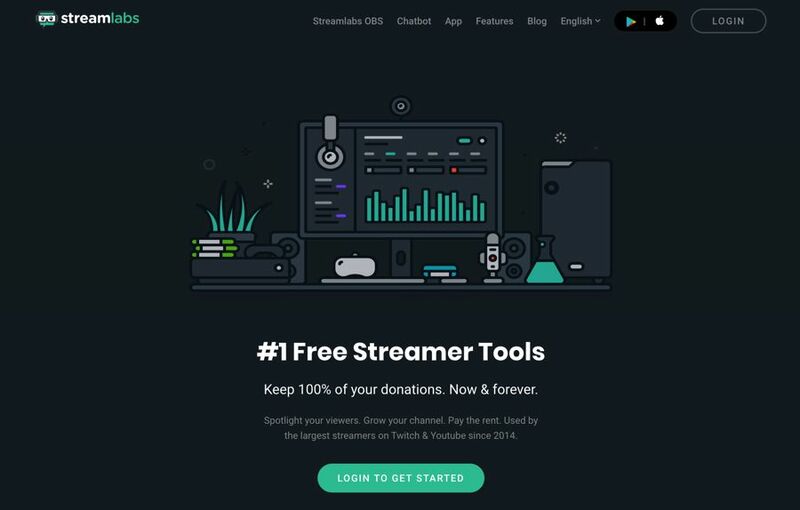 Streamlabs introduced their equivalent in 2017. The Tip Jar shows a similar animation to the Cheer Cup, with tips dropping from scrolling messages – showing new subscriptions, followers and donations, as well as Bits used. The Tip Jar is highly customizable and even allows for 13 different jar types. Credits is an alternative way that viewers can donate to their favorite streamers. A streamer can create a Credits widget, giving viewers an option to do particular online mini-tasks (in association with Peanut Labs). These could be things like completing a survey, signing up at a specific website, or shopping at a particular online site. A viewer who does these tasks earns Credits. The streamer receives $1 for every 100 Credits his followers earn. The Wishlist tool works very much the same as the Donations tool. It is perhaps more aspirational, in the sense that the streamer includes items he would like on his Wish List, and fans can choose to donate towards these items if they want. One of Streamlabs’ most important Twitch alert features is an enhanced chat display. Normally, chat sessions appear on a Twitch user’s chat tab, but these are delayed and can be difficult to use. Usually, the message a viewer sees in their Chat Tab was sent a few seconds, or even minutes earlier. The time lag means that what a viewer sees does not match up with a streamer’s speech. The Streamlabs Chat add-on allows a streamer to display their chat on their screen in real-time without the lag that users typically experience. The viewer can see what the streamer can see. Streamers can use Stream Labels to track relevant statistics on their streams. These relate to followers, donations, subscribers and more. Streamers can track the history of donations they receive, and block and report bad donors. Event List is another widget a streamer can show on his page. It shows all recent stream “events,” including donations, Bits, donations, and subscribes. It is effectively a history of the “events” on a channel. Media Sharing allows viewers to share their music, videos, and images on a broadcaster’s stream through donations. For instance, a streamer may give his followers an option to “take over” the media playing on his channel for up to two minutes at 30 cents per second. During that time the follower provides the music or other media for the streamer’s channel. While this is an excellent opportunity for viewers to feel part of the Twitch Influencer’s group, he has to be careful he doesn't overdo its use and upset the other viewers. It also gives some influencer marketing opportunities, as long as the media the viewer chooses to share is not too much like advertising (and thus competing with the official Twitch advertisements). Streamlabs recognizes the importance of influencers and the possibilities of influencer marketing. They have set up Streamlabs All-Stars as an exclusive group of the most popular video game broadcasters. If a broadcaster believes they are an influencer they can apply, but there is limited membership – Streamlabs will only accept genuine influencers as members. 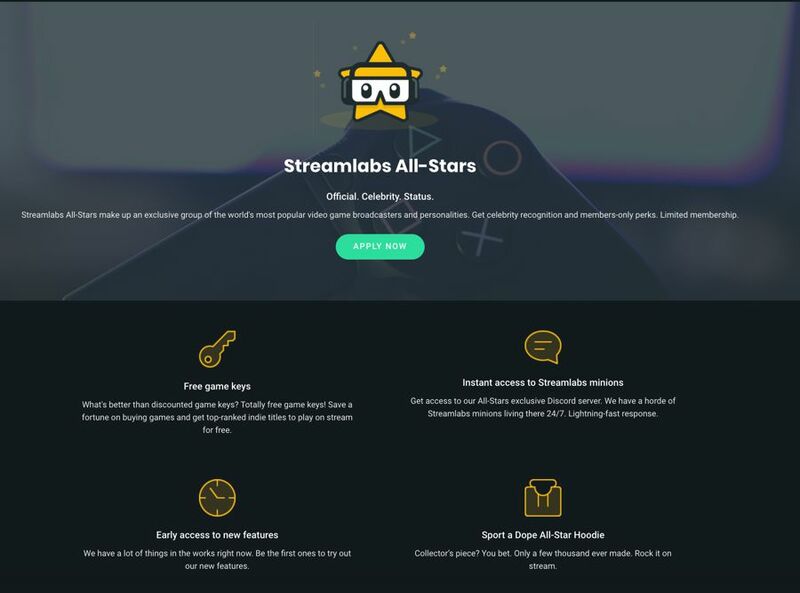 Streamlabs gives their All-Stars status, as well as additional tools to help them with their influencer marketing activities. Priority access to advertising and sponsorship partners. With this program, Streamlabs has become a specialist influencer marketing platform. Twitch Alerts help influencers better engage with their followers and carry out better influencer marketing. The alerts and related tools provide incentives to people to sign up as a follower or subscribe – even if it is just the chance to see their names scrolling across the screen as their donations fall into the Tips Jar. The more people follow an influencer, the higher the chance he has of influencing them. This is particularly so for subscribers, who demonstrate their liking of a broadcaster by making regular payments. One of the most useful Twitch Alerts is Chat Box – it makes engagement between broadcasters and viewers much more natural and user-friendly. It removes the lag from messages which makes conversations difficult. Whether a Twitch gaming influencer uses Streamlabs or one of their competitors such as Muxy or StreamElements, they are using tools that make their job easier and streamlines their channels. Twitch Alerts help the influencers, which in turn improves their influencer marketing efforts.